Westin Dubai Mina Seyahi offers a number of ways to make your stay extra special – if you know about them! 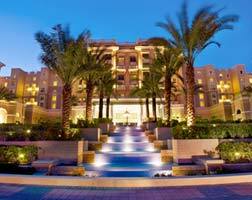 -The upper floors are always best for the great views of the Gulf. -Keep away from the bar area, if you’re on the lower floors and looking for quiet. -Check whether your room has a full balcony or just a small Juliet-style. -Ground floor rooms let you walk straight out into the garden. -Book ahead if you want to enjoy the delights of the very popular Friday brunches. -Rumour has it that room 323 has the biggest balcony. -Executive rooms can be worth the extra for the drinks alone. -City-side rooms tend to be noisier.